Obituary – Voise, James Allan « Perry High School Alumni Association, Inc.
﻿Wrestling, Golf, Weightlifting, Student Council Rep., Powder Puff Football King, Sr. Class Secretory, All School Revue. James A. “Jimmy” Voise, 55, of Perry, OK, was son of the late Arthur Henry and Marjorie Louise (Rupp) Voise. 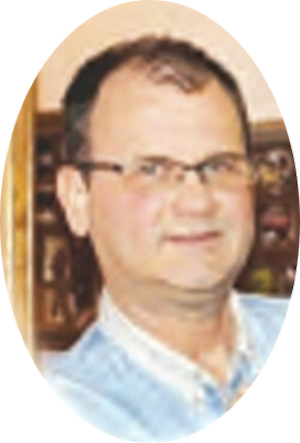 He was born November 16, 1961 in Perry, and passed away Monday, May 29, 2017 in Perry. Funeral services have been entrusted to the care of Palmer Marler Funeral Home of Perry. A funeral service is scheduled for 10am Friday, June 2, 2017 at Zion Lutheran Church in Perry with interment to follow at Zion Cemetery. 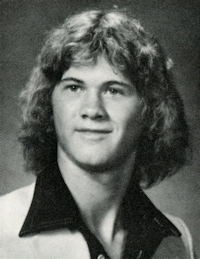 After graduating from Perry High School in 1980, Jim attended Oklahoma State University in Stillwater, OK with an interest in Industrial Engineering. He later became a skilled machinist and a CNC Programmer. A skill acquired through his father, who was also a machinist, and whom he would call his “best friend”. Together they built Art’s Machine Shop where they were the owners/operators and continued to work side by side for many years. His most recent area of interest was his work at Lakeside Golf Course in Stillwater. Jim was a member of Zion Lutheran Church. Jim is survived by one daughter, Hannah Briegge and husband Devin of Stillwater, OK; grandson, Max Briegge of Stillwater, OK; mother, Marjie (Rupp) Voise of Perry, OK; one sister, Linda Voise Kroll and husband Danny of Perry, OK; two brothers, Larry Voise and wife Suzanne of Perry, OK, and Ron Voise and wife Teresa of Edmond, OK; numerous nieces and nephews, and a host of friends. He was preceded in death by his father, Arthur H. Voise; and both Paternal and Maternal Grandparents. Family requests that memorial contributions be made to Zion Lutheran Church in c\o Palmer Marler Funeral Home, 203 Fir, Perry, OK, 73077.